In our modern era of technology, everybody is running with cell phone in pocket, and with Smartphone more and more people are browsing Internet using their mobile device. 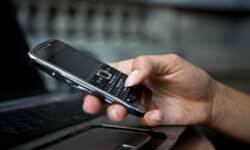 Smartphone like iPhone, have mobile browser that can make possible to scan regular web pages. Thus, a mobile version of your website can mean a number of advantages, like faster load times, ensuring your content can be viewed on a wider range of phones, etc. We have found that there are several solutions out there that make it easy to go mobile with your website, but we have compiled 10 excellent solutions for building your website mobile friendly. Below are some mobile websites creation platform that makes it easy to turn existing websites into mobile optimized sites. 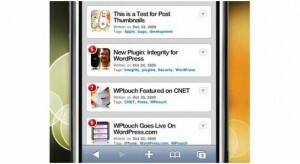 WPtouch is a mobile theme for your WordPress powered websites. It loads lightning fast and display your content attractive way, without interfering with your regular site theme. WPtouch automatically convert your WordPress powered blog into a web-application experience when viewed from an iPhone, iPod touch, Android, or BlackBerry Storm touch mobile device. MoFuse gives you tools to promote your content, build and measure your audience, and even generate revenue. This is currently used by many blogs including Mashable and Read Write Web. It helps you to make your site mobile friendly with full control over the branding and logo. It also provides you facility to generate money through advertising. 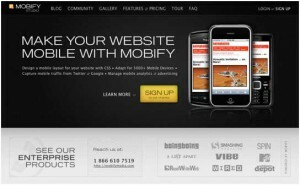 Mobify is another tool to make your site mobile friendly giving you full control over the layout of your mobile site with CSS, and it supports over 5000 mobile devices. It also provides tolls to manage mobile advertising and analytics. With Wirenode, you can create a mobile version of your site within just five miiniutes and it also provide you features like mobile widgets, RSS mobilization, and mobile polls and forms. WPtap have a mobile plug-ins than can quickly convert your WordPress powered site into mobile based web application. WPtap offers complete mobile theme solutions for WordPress website. It provides all standard WordPress blog features: search, login, categories, tags, archives, photos & many more. 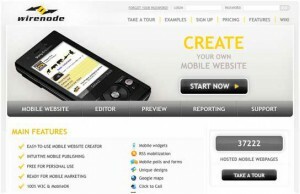 mobiSiteGalore is a mobile website builder that lets you to easily build, publish & share a full-featured mobile website. 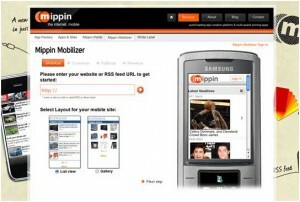 It also allows you to completely customize the fonts, colors and layout for your mobile website. 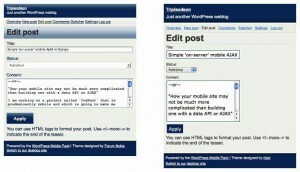 WordPress Mobile Pack provides a complete toolkit to make your WordPress powered website mobile friendly. It includes a mobile switcher to selection of mobile themes, extra widgets, device adaptation and a mobile administrative panel to write new posts. 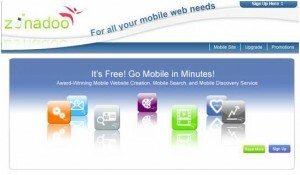 Zinadoo is another solution that allows creating a mobile version of website in just some easy steps. 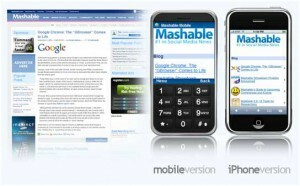 You can also optimize your site for Google Mobile with keywords and tags, and make use of their special mobile widgets. MobilePress is a free WordPress plug-in which turns your WordPress blog into a mobile friendly blog. MobilePress also allows you to create customized mobile themes for different handheld devices and mobile browsers such as the iPhone, PDA, Opera Mini and Windows Mobile.